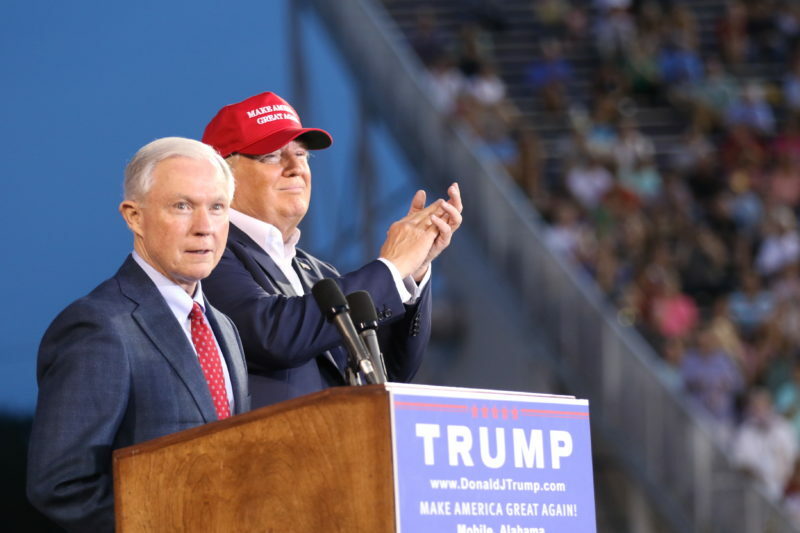 Democrats have the claws out for Jeff Sessions, Donald Trump’s attorney general. First, they accused him of being racist; now, they’re claiming that he lied to Congress. And Donald Trump has had enough. The entire scandal revolves around Sessions’ supposed interactions with Russian politicians. Democrats accuse him of lying to Congress when he said he had not ever met with Russian officials. Then it became known that Sessions had, in fact, met with Russian officials. Sessions claims that his statements were not inaccurate, because he had never spoken to anyone from Russia about political campaigns. It turns out, Sessions met with the Russian ambassador — hardly a controversy. After all, senators frequently meet with foreign ambassadors. Still, in the interest of satisfying Democrats, Sessions has chosen to recuse himself from the Department of Justice investigation into Russia, so there won’t be any question of impropriety on Sessions’ part. It’s good that Sessions has chosen to recuse himself, but it’s pathetic that this was even an issue to begin with. Liberals are really grasping to find something to be angry about here. Unfortunately for them, Trump isn’t about to give up on Sessions that easily.